Having an organised and easy to use notebook shouldn’t be difficult- it should just be the standard. That’s why I started using the bullet journal system. 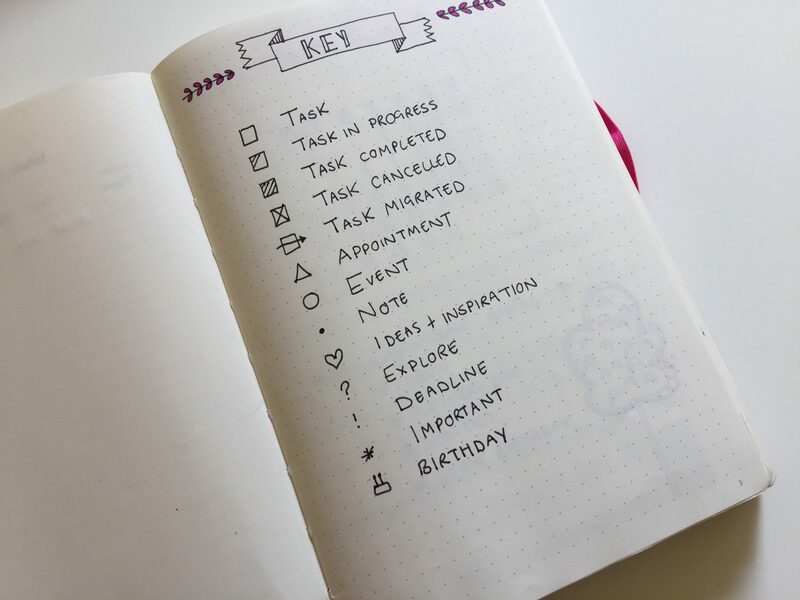 The bullet journaling system uses a combination of icons to visually show what you’re adding to your notebook; notes are lines, tasks are squares, events are circles and appointments are triangles. The basic system use these as a starting point and then they can be checked off by being coloured in or changed/cancelled by using scoring throughs, crossing out and arrows. This is all regarded as ‘the key’ for the bullet journal system, although it can be customised and tailored to your needs. 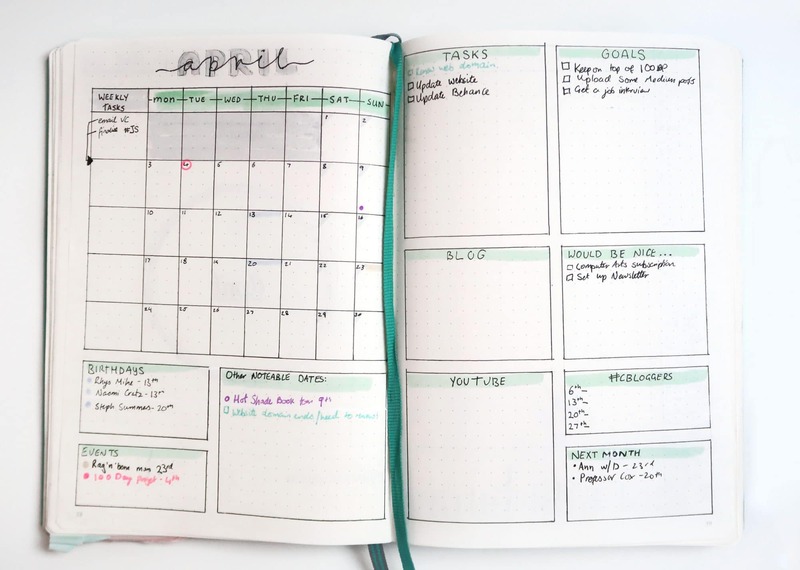 So why did I start using the bullet journal system? This year one of my main goals was to get better organised and to think about what I could be doing differently to be more productive and motivated. Ironically, I didn’t keep this momentum up in January as the method I was using then didn’t keep me engaged or inspired to keep going. Flash forward to the end of February and that was when I decided to start using the bullet journal system. 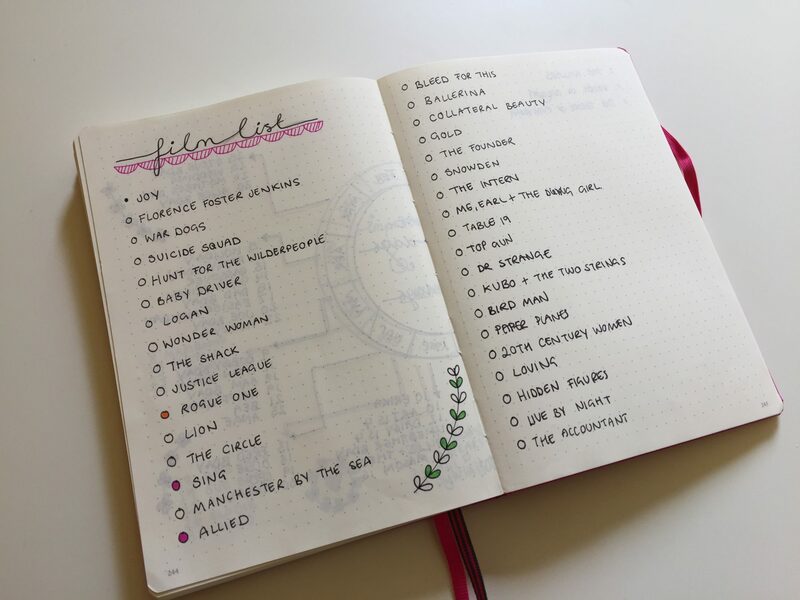 Within the two months or so of using it, I have been better on top of my to-do lists (everybody agrees it’s incredibly satisfying to tick something off a list, right? ), I’m better organising my time and can reflect back at the end of the week to see why something may have went awry. Introducing “spreads” helped me to organise countless other things, including any books & articles I’ve read, shows I want to watch when the new season starts and plan things for my social media accounts, #CBloggers community and personal blog. 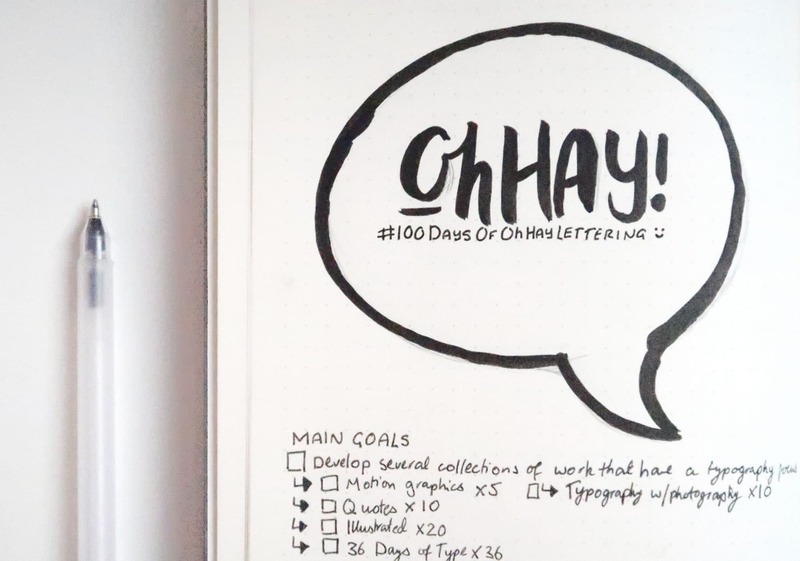 It’s also been great to plan out other creative ideas I have such as planning concepts for #The100DayProject including quotes or ways I want to explore typography and to keep track of how my freelance commissions are coming along with any notable dates or information. I’ve used it a lot during this internship too- writing down project tasks and deadlines for things I’m working on and using the key symbols when I have been brainstorming ideas. Added to this, I’ve been taking the time to list things I have learned or experienced from each day too. In doing all this, it has helped me really consider how to get the best from this internship and think about how it can help me develop as a designer.